Casting sport is a tournament sport in which skilled athletes compete in fly-casting and plug-casting disciplines. The sport is made up of accuracy-based disciplines and of distance-based disciplines. In both, the athletes use rods which are very similar to angling rods. 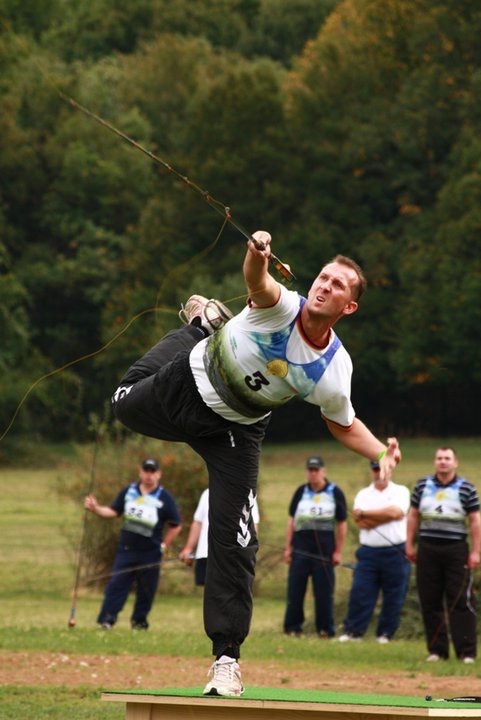 This sport uses plastic weights or hookless flies, and is held on sporting grounds( athletic fields). The casting history encompasses more than 70 years. The International Casting Federation (ICF) was founded 1955. Since then world and continental Championships have been organise on a regular basis every year. In the year 2003 the federation changed its name to International Casting Sport Federation and the acronym to ICSF, In the period of 1981 2005 Casting sport is also represented at the programme of the World Games. ICSF is a member of GAISF , CIPS, IWGA and accept the WADA foundation regulations.